WP EasyCart integrated with the MyMail newsletter plugin some time ago, and we are huge fans of its usability and ease of use. We have several months under our belts using this plugin with our own customers and feel we can show you some tips on how to utilize its features and give some guidance on best practices. For those who have never use a subscriber newsletter system or sent out email campaigns from their WordPress site, it can be intimidating, but rest assured, its as easy as it can get with MyMail. For a low cost of $39 dollars for the plugin, you can send out professional emails to customers with news about your business, online store, tutorials, special promotions, even send out autoresponders after a user action has occurred for an automated system. 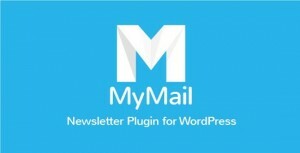 First, MyMail is already integrated with WP EasyCart, all you need to do is have both plugins installed, and then EasyCart will put users into your system as a subscriber when they checkout from an order and click ‘signup for newsletter’, create a new account and click ‘signup for newsletter’, or if you turn on the newsletter widget and they signup. It’s that easy, nothing really to do, but makes a great way to get your subscribers into MyMail from EasyCart. We even offer a quick import if you have EasyCart customers and want to quickly import all the users into MyMail for the first time. You can certainly build your own email newsletters, but why not go to ThemeForest and search for ‘MyMail Templates’ and purchase professional email templates that are mobile responsive and cost less than $20 dollars. Most templates allow you to do a multitude of variations and build your newsletter in a modular approach, yet consistent look for your customers and subscribers. MyMail can connect to a variety of email sending services, and are a great approach to sending email campaigns without taxing your web hosting email limits. We especially like the use of Mandrillapp.com, which allows us to connect MyMail and send email campaigns through the Mandrill system with a 12,000 email limit each month for free! Want to send more, it is extremely cheap to get extra emails! As in .10 cents per 1,000 emails! We also like that MyMail connects to these external sending systems and keeps your spam and black listing to a minimum. 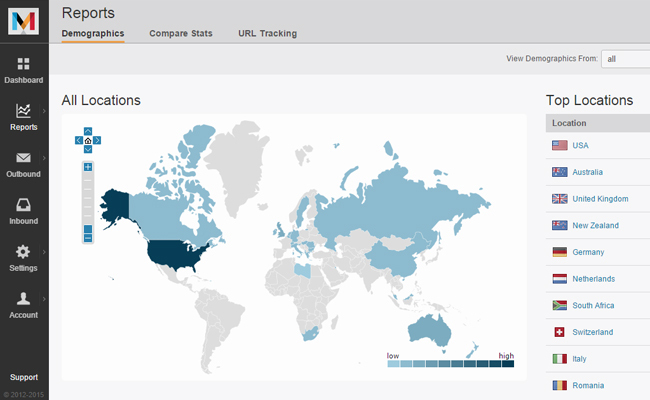 Mandrillapp.com even lets you know your sending reputation, bounce rates, open rates, click through rates, and more via their dashboard. EasyCart has extended our integration with Mandrillapp.com by allowing you to use their email services for customer confirmation emails as well, allowing you to see them being sent, resend them, and see if the emails were open. There are countless articles on the interwebs that discuss how and what to send to your customers. We find a good comprehensive approach is important and with MyMail, we can automate some of these newsletters while still customizing others. Standard Newsletters – It’s a good idea to send a general newsletter about your business, what you are selling, what is new, and what in general is happening with your business once a month or even twice a month to all subscribers. Keep the content fresh and keep it relevant. It’s harder than it sounds once a month! Order Confirmation Emails – While this is automated from EasyCart, it is usually the most read email by your users. It might be nice to get some custom information on there, perhaps even a special email that includes custom coupon codes for future or returning customers. 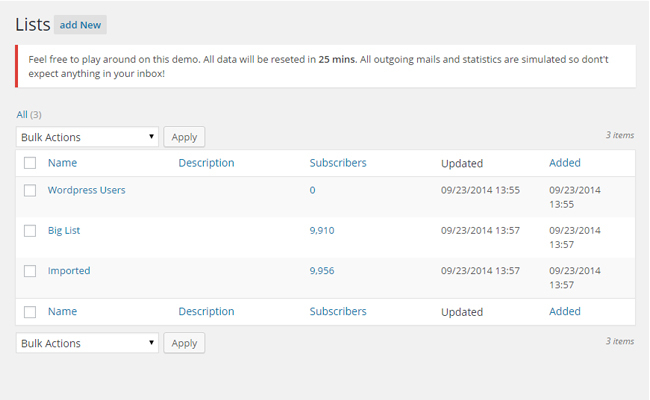 You can easily customize the confirmation email by going into EasyCart Admin -> Language Editor and editing phrases. Autoresponders – We really enjoy leveraging this in MyMail, because you can setup an autoresponder email to go out to users after a preset defined time. Maybe after someone orders, you want to send an email out to the user with special coupons, extension products, or other products they may like. It’s also nice to ask for reviews or other specialty articles related to their order. MyMail allows you to setup autoresponders quickly, easily, and professionally using their newsletter campaign builder. This is where things get even more interesting… MyMail allows for subscriber lists, and you can custom code the automation of users into those lists based on products they purchase by simply creating a child layout file of our confirmation email and coding in a few lines of code to inject users who buy specific products into specific email lists. That is targeted email! So a scenario may go like this; a customer orders from you and buys product XYZ. They will receive a confirmation email that the order was successful, you could add a small bit of coding and put this customer into not only an ‘Customer List’ for future emailing campaigns, but you could also setup an autoresponder to email this customer 2 weeks after purchase to please come back and review their experience, rate your shopping experience etc. You can also add this user to a ‘Product XYZ List’ so that you can later email anyone who purchased Product XYZ, or also send automated responders to them, such as special instruction emails, etc. While our Mandrill extension is not required for MyMail to work, it is helpful to also use for all EasyCart confirmation emails and transactional emails in conjunction with MyMail. This way all of your communications go through a secure dedicated professional grade email system that lets you insure deliver and takes away these extra tasks from your web hosting server.